Do 'in-house SEOs' work in more pressure? Thanks to the pressure and excitement of work at office,blogging has become a distant dream for me, these days. Political cartoons just do not click my brains anymore.At least,as of now. 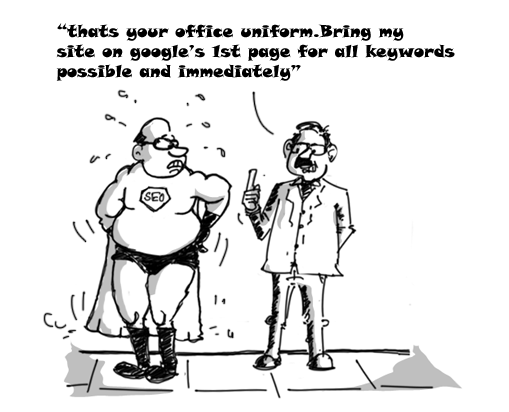 However,my job profile requires me to remain connected with the Digital Marketing World and Search Engine Optimization (SEO) is an integral part of the same and thought to share a toon on the same. Also I would love to share this article which nicely explains the pros and cons of hiring an ‘In-House SEO professional’ and an ‘SEO Agency’, for those who might be interested in knowing more about an in-house seo. 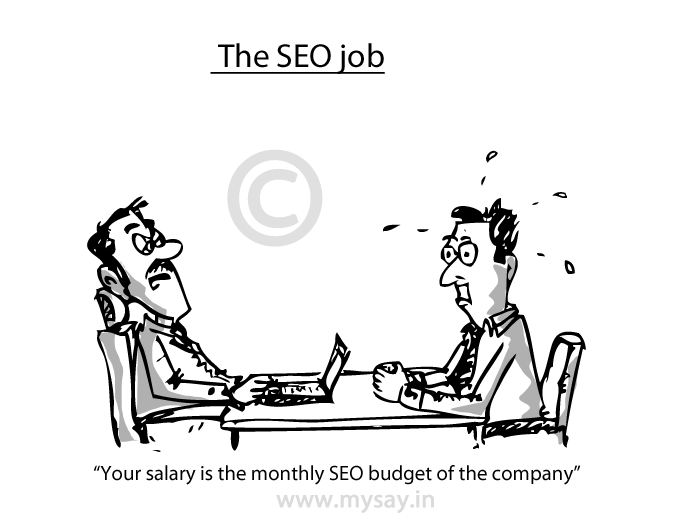 Well, the salary ought to be close to the company budget..What the SEO folks do is important enough to boost those businesses…. I still feel in-house SEOs are quite underpaid in India at least the ones within 3 years of experience and they are expected to promote a brand with almost negligible amount of budget. the responses look as if they are written byy braun dead individuals?